The Moving Images blog completes two years today. So we pause briefly to look back – and forward. I launched the blog with two posts from near-freezing Washington DC on 17 March 2007, while participating in the DC Environmental Film Festival. Both concerned my own offering to the festival: Children of Tsunami: The Journey Continues, product of monthly filming with 8 survivor families in 4 countries for nearly one year after the Asian tsunami. Since then, this blog’s own journey has continued: in 24 months, we have produced 342 posts in 134 categories and with 562 tags. These elicited a total of 622 comments from readers who came from all walks of life, and all parts of the world. To the end of 16 March 2009, I received a cumulative total of slightly over 246,900 page visits. I now average 500 – 600 visits a day. I share my blogging journey with these readers who have enriched it in various ways. Some commented under their own names; others used pseudonyms. Some left email details; others none. A few have actually suggested stories that I later wrote up as blog posts. I don’t know most of my readers in person, and have only met them online. As this blog enters its 25th month, I thank them all. You’ve kept me going in a particularly tough time in the world…and in my personal life. Moving Images wasn’t my first blog – in late 2006 I had started another blog called Communicating Majority World under the name ‘Lost Alien’, which I somehow didn’t sustain for more than a few weeks and a handful of posts. For reasons that I can no longer quite recall, the Lost Alien abandoned his original blog – and migrated over here! When I started Moving Images, I was driven by a simple motive: to discuss and reflect on the many and varied topics and subjects that interest me professionally. In one way or another, these fall into the area of communicating science, development and environment to the non-specialist public. Because my work at TVE Asia Pacific involves using television and video for this purpose, there is a bias on moving images in many things I do. But by design, this is not an official blog of TVE Asia Pacific, or any other organisation that I am associated with. In fact, I regularly express here views that I cannot say wearing any of these hats — because we live in a world where most people still react not just to the song, but also the singer (and can’t separate the two). Are we there yet? No! So this blog is unashamedly, intentionally self-centred: it puts ME back in Media. I make no apologies for speaking my mind on a variety of topics, and for returning to some issues that I’m passionate about. After 22 years in journalism, broadcasting or communicating development, I find I have sufficient perspective in which to anchor my thoughts, and to express my views in a way, I hope, interests and engages readers. Like the ancient Greeks, I try to ask the right questions – even when I don’t always know or get the right answers. And I have more than a few stories to spice up the narrative. I’m well aware of the inherent danger of combining writer-editor-publisher all in one: personal blogs don’t always operate under the usual checks and balances that we expect and presume in the more structured media outlets (whether they are in the mainstream or new media spheres). On more than one occasion, I’ve written impulsively – in frustration, anger or elation, and sometimes on the run. Thanks to the training in my news reporter days, I can still churn out readable prose fast. And only once in all these 24 months and 342 posts have I regretted rushing to publish (so, using my absolute discretion as the media tycoon of this blog, I pulled it down). Do I see myself as a citizen journalist? Yes and no. I don’t report news, and only very occasionally write on latest developments (or breaking news, as it’s now called). I see myself more as a citizen commentator – the op ed equivalent in the new media domain. Yes, I do occasionally report from large conferences that I attend as a speaker or panelist. But I have found how demanding it is to blog from events while keeping up with everything that is going on. Do I see myself as a Sri Lankan blogger? Not really. Scanning the 342 blog posts I’ve written, I can count only a two dozen that have an appreciable reference to Sri Lanka. This is not because I’m aloof or disengaged; I have simply set a framework for myself that goes well beyond the country of my residence and social/cultural anchor. Another reason for this intentional lack of geographical focus is that besides this blog, I regularly write op ed essays for other online outlets like Groundviews, MediaChannel.org and MediaHelpingMedia, and print news magazines like Montage. I use these platforms for commenting on Sri Lankan issues that interest or concern me. I find it a bit incongruous that we who use the new media tools of web 2.0 – which signify the end of old geography – must contain ourselves to geographical or cultural cocoons. Thus, while I sometimes join gatherings of bloggers based in Sri Lanka, and share concerns for freedom of expression, I have consciously avoided joining Kottu, the leading aggregator of Sri Lankan blogs. And I get more than a little miffed when the excellent aggregation service Global Voices constantly labels me as a Sri Lankan voice (with a map of Lanka to boot!) whenever they helpfully flag my blog posts for wider attention. I have privately discussed this with GV’s South Asia coordinator who says their current tagging and categorisation do not allow anything else. Is this an example a new media platforms being trapped in an old media mindset? If you really must pin me down to some place, call me a South Asian (or, as my friends at Himal would like to write it, Southasian). On this blog, I place a higher premium on still and moving images. Regular readers know my fondness for cartoons, which I avidly search for and collect on a wide range of topics. In fact, I believe cartoonists are the best social and cultural commentators of our times – they say so much with such economy of words! Similarly, I try to embed relevant online videos that I can find. Sometimes it takes me longer to scan YouTube and other platforms than to write the accompanying text for a blog post. And I get frustrated when WordPress does not allow embedding from certain online platforms like EngageMedia, a new Asia-based service that we have recently started to collaborate with. As I travel around in Asia and Europe, and move across the sometimes overlapping circles of development, media and communications technology, I keep meeting readers who read and follow this blog. Some have never commented on any post; a few have chosen to write emails to me on specific matters. This means some of the conversations inspired by this blog happen bilaterally — for example, film festival organisers have written asking me for contacts of specific film-makers whose work I have reviewed. Students often write to me seeking additional information or my own views. Long lost friends or associates have revived contact after stumbling upon this blog. I have no illusions of being famous, but it’s nice to stay engaged. There has never been a denial or rebuttal from this person or his institution on the substantive points in my blog post. But I was repeatedly told that my candid remarks are ‘not helpful’. Perhaps. But anyone who remotely believes in ‘illuminating debate’ would have engaged me on this blog, or theirs, or in a neutral forum (plenty exist). Encouragingly, many others have done just that. This includes the reader who thinks I have an axe to grind with the BBC (I don’t, but I’m also not a fan of the ageing Auntie), and a few who feel I’ve been unkind to the fledgling global newscaster Al Jazeera English. Then there are those who assume that I hate state-owned, so-called public broadcasters (again, I don’t, although I question their conduct more rigorously because they are public-funded). In fact, I have sung praise of Burmese TV as a model public broadcaster, and maintained excellent relations with NHK and other public broadcasters in Asia. I’m regularly invited as a speaker or panelist at gatherings of mainstream broadcasters – where I express pretty much the same views as I do on this blog. Some think I’m too harsh on the United Nations, especially UNICEF. Again, I’m a great believer and supporter of the UN’s ideals, but never hesitate to critique the public communication policies and practices of individual UN agencies. I like to think that the United Nations is bigger (and deeper) than the inflated egos of its senior officials. In fact, middle level officials and experts working in various UN agencies have privately commended me for keeping the spotlight on their agencies. During the two years of this blog, I have worked closely with UN-OCHA, UNEP and UNAIDS, and they have been pluralistic enough to engage me in the greater public interest. I believe that it’s not just the UN, but the entire development sector, that needs to get its act together when it comes to communicating policies, practices and choices. Having occasionally (and luckily, only briefly) forayed into the charmed development circles, I realise how detached from reality, self-referential and inward looking many development professionals and their institutions are. Communication is often no more than self-promotional publicity for overambitious agency heads. I have watched how the sector has struggled to adjust to the new realities in media and communications technology. Sometimes I have ridiculed their worse attempts on this blog; more often than not, I have quietly worked with them in small groups or bilateral meetings trying to build their capacity to do things better with greater focus and impact. I survived mediasaurus - and lived to tell the tale! Precisely because I have access to various policy, development and research circles in Asia while (or despite?) being a blogger critiquing the same players, I exercise caution in quoting people or citing examples. Some meetings I attend discuss matters too sensitive for immediate publication; others operate on the Chatham House rule (generic points may be communicated, but without attribution). As a journalist, I’ve been trained to clarify what is on the record and what isn’t; in sourcing content for this blog, I follow the same principles. Every writer, editor and publisher has her own agenda. Mine is fairly easy to discern, for example from the recurrent themes on this blog. These include: * humanising development communication (going beyond mere facts, figures, analysis and jargon); * demystifying and debunking self-serving development myths (for example, about community radio, or rural poverty); * practising what we preach (broadcasters addressing their own carbon emissions); * evolving more inclusive copyright policies (poverty and climate change as copyright free zones); and * engaging in simple, clear and effective communicating of science and technology in society. For those who occasionally look for a hidden agenda, my only advice is: get a life. I write this blog for fun. I don’t set out to kick anyone – although I often get a kick out of receiving online or offline feedback. And that’s my wish for the coming months and years: while I work hard to earn some honest bucks else where, may I continue to derive my kicks here. And if some of you also get a mental kick out of reading or commenting on this blog, that’s my bonus. Sharing archives: Will broadcasters (finally) put planet before profit? I have long wondered if both radio and TV broadcasters store their archival material in black holes – into which everything disappears and nothing ever comes out. And certainly, nothing is shared with anyone else. “It isn’t just climate-related films that are locked up with copyright restrictions. Every year, hundreds of television programmes or video films — many supported by public, corporate or philanthropic funds — are made on a variety of development and conservation topics. Escape from the Southern 'black hole'? Well, it seems things are changing, albeit very slowly. Last month, we welcomed the announcement from Al Jazeera sharing their news footage online through a Creative Commons license — the first time that video footage produced by a news broadcaster is released for commercial and non-commercial use. Now comes the news that Australia’s public broadcaster ABC is releasing selected content from its vast archives for non-commercial use by others. And we must thank Charles Darwin for that. On 12 February 2009, to celebrate Charles Darwin’s 200th birthday, ABC started releasing some archival materials, all based loosely around the theme of evolution and mutation. This Australian first was achieved through ABC’s collaborative media site, Pool. In an imaginatively named effort called Gene Pool, ABC started off with a recording from its archives of genetics professor Steve Jones talking about Darwin’s life and work. The next offering to Gene Pool would be a clip from ABC’s Monday Conference in 1971 featuring Stanford entomologist Paul Ehrlich talking about climate change (yes, it’s from 38 years ago!). These materials are being released under the Creative Commons 3.0 licence allowing people to reuse or remix them in any way they like — as long as it’s for non-commercial use. That’s precisely what I’ve been saying for a long time – the taxpayer-funded broadcasters like BBC, NHK or ABC (and their equivalents in other countries) have no moral right to lock away their archives on legal or technical grounds. And to think that some of the content thus held up could actually help us in winning history’s eternal race between education and catastrophe! The BBC – hailed as a model public broadcaster worldwide – is among the worst offenders on this count. It holds one of the largest archives on environment, natural history and wildlife filmed all over the planet for several decades, yet it stubbornly refuses to share this material with anyone, even when it’s only for strict non-commercial, educational use. Read one example in my July 2007 blog post, The Lawyers who locked up the Butterfly Tree. This myopic selfishness is contrasted (and put to shame) by exceptional film-makers like Richard Brock (who worked with BBC Natural History Unit for 35 years before leaving it unhappy over its rights management) who have decided to open up their personal video archives for non-commercial use especially in the majority world where such material is in short supply. Watch this space…and keep an eye on that Gene Pool! Al Jazeera has done it again. They were the first mainstream news broadcaster to offer most of its content on YouTube. And now, they have started sharing their news footage online through a Creative Commons license. This allows others to download, share, remix, subtitle and eventually rebroadcast (or webcast) the material originally gathered by Al Jazeera’s own reporters or freelancers. It has the potential to revolutionise how the media industry gathers and uses TV news and current affairs footage – a lucrative market where there are only a very few suppliers operating at global scale. Al Jazeera’s uncommon sharing has started with the network’s coverage of the conflict in the Gaza strip, Palestine. 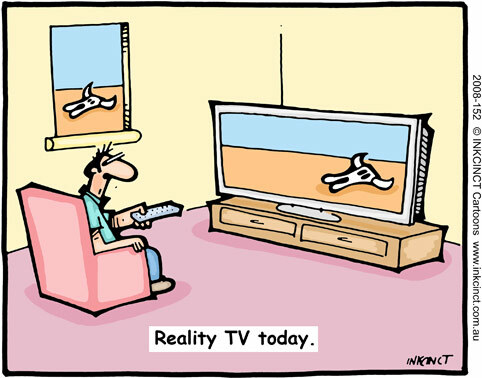 Each day they plan to add the latest footage coming from Gaza. Additional Gaza footage from the start of the war is to be made available shortly. This is the first time that video footage produced by a news broadcaster is released under the ‘Creative Commons 3.0 Attribution’ license which allows for commercial and non-commercial use. Under the Creative Commons framework, Al Jazeera seeks no payment (licensing fees) of any kind. Users are free to reuse the material with acknowledgement to Al Jazeera. This means such users must attribute the footage to Al Jazeera (“but not in any way that suggests that we endorse you or your use of our work”). They are also required to leave the Al Jazeera logos intact, give reference to the Al Jazeera Creative Commons Repository, and the ‘Creative Commons 3.0 Attribution’ license itself. Al Jazeera – which means ‘the island’ or ‘the peninsula’ in Arabic – started out in 1995 as the first independent Arabic news channel in the world dedicated to providing comprehensive television news and live debate for the Arab world. Al Jazeera English, the 24-hour English-language news and current affairs channel, was launched in 2006 and is headquartered in Doha, Qatar. The organisation is the world’s first global English language news channel to be headquartered in the Middle East. On this blog, we have been critical cheerleaders of Al Jazeera. We hailed their commitment to present the majority world’s voice and perspective in international news, but expressed our dismay on how hard Al Jazeera English channel’s aping of BBC World TV. We have sometimes questioned or challenged the ethics of how they sourced or filmed their stories. But we have no hesitation in applauding their sharing of news footage. This move makes it easier for many television stations, websites and bloggers to access authentic moving images from the frontlines of news — we certainly hope Gaza marks only the beginning of AJ’s sharing. It would also make commercial distributors of news and current affairs footage a bit nervous, for such material trades in hundreds or thousands of dollars per second. The logistical difficulties in gathering such footage, and sometimes the enormous risks involved to the news crews, partly explains the high cost. But the small number of suppliers and syndicators has made it possible for high prices to be maintained. If Al Jazeera sustains its sharing, that could mark the beginning of the end for another pillar of the mainstream media industry. These words, which I first uttered during an Asian workshop on moving images and changing climate in Tokyo in early October 2008, have resonated with many journalists, producers and activists concerned about climate change. It’s part of a special issue to mark the 14th Conference of Parties to the United Nations Framework Convention on Climate Change (UNFCCC) and the fourth meeting of Parties to the Kyoto Protocol, being held in the Polish city of Poznan from 1 to 12 December 2008. In fact, Down to Earth editor Pradip Saha was part of our Tokyo workshop which called for climate change to be recognised as a copyright free zone. Last chance for Kyoto Protocol? “Eleven years after the Kyoto Protocol was signed — only to be consigned to irrelevance over the subsequent decade — nations are meeting in Poland to negotiate post-2012 action. These have been linked to, or commented upon, by various blogs and websites. Interestingly, the big time TV/video production companies and broadcasters have been keeping quiet in this debate. Perhaps they are too busy counting their money accruing from license fees? Climate change and copyrights: What intellectual property on a dead planet? Twenty centuries ago, Emperor Nero fiddled while Rome burned. Today, some media companies are squabbling over copyrights while the planet is warming. This is the main thrust of my latest op ed essay, just published by the Science and Development Network (SciDev.Net) anchored in London, UK. It’s titled: Planet before profit for climate change films. I have adapted for this commentary some of my ideas initially expressed on this blog – especially the post on 12 Oct 2008: Climate in Crisis and planet in peril – but we’re squabbling over copyrights! In writing this essay, I’ve also drawn on the excellent discussions we had last month during the Asia Pacific workshop on Changing Climate and Moving Images in Tokyo. I’m challenging broadcasters to put their money where their mouth is. “Broadcast mandarins routinely support global struggles against poverty, HIV, corruption and climate change by offering free airtime to carry public interest messages. But few let go of their own products on these very subjects for non-broadcast uses. “Making climate change a ‘copyright free zone’ for media products would increase the resource materials available to thousands of educators, social activists and trainers struggling to communicate this complex topic to audiences across the world. Moving images would make their task easier. “The climate crisis challenges everyone to adopt extraordinary measures. Broadcasters and film-makers need to balance their financial interests with planetary survival. Read my full essay on SciDev.Net: Planet before profit for climate change films. In September 2006, speaking at the United Nations headquarters (photo below), I called for poverty to be recognised as a copyright free zone. The idea was to have broadcasters and other electronic publishers release copyrights on TV, video and online content relating to poverty and development issues -– at least until (MDG target year of) 2015. The TV broadcast and film communities have reacted to this proposal with disdain or indifference, but I keep badgering on. If poverty didn’t motivate broadcasters to change business as usual, I hope, the planetary threat posed by climate change would. Many media reports and documentaries on climate change tend to be scary. Even the most balanced and scientifically informed ones caution us about dire scenarios that can rapidly change the world as we know it. But it’s not all doom and gloom. Like every crisis, climate change too presents humanity with formidable challenges that can become opportunities to do things differently — and better. Climate Challenge is a rare TV series that adopts this positive attitude. The 6-part series co-produced by One Planet Pictures in the UK and dev.tv in Switzerland, links the global climate crisis with location action for both mitigation (trying to reduce further aggravation) and adaptation (learning to cope with impacts). It also makes the point: in the fight against global warming, developed and developing countries must work hand-in-hand to find viable solutions for all. The film-makers of Climate Challenge focus on some of the most promising approaches to turning down the global thermostat. Climate Challenge goes in search for solutions that won’t put a break on economic growth. The series had its original run on BBC World News in April – May 2007. Shortly afterwards, TVE Asia Pacific (TVEAP) started distributing it to TV channels, educational institutions and civil society groups across the Asia Pacific region. It has been one of the more popular items on our catalogue of international TV films on sustainable development and social justice. Our deal with Asia Pacific broadcasters is a barter arrangement. TVEAP clears copyrights for developing countries in our region (more than 30 countries or territories) and offers films free of license fee that normally prevent many southern broadcasters from using this content. We offer a new set of titles every two months to our broadcast partners – now numbering over 40 channels. They select and order what interests them, and often pay for the cost of copying on to professional tape and dispatch by courier. When they receive the tapes, accompanied by time-coded scripts, many TV stations version the films into their local language/s using sub-titles or voice-dubbing. They do this at their expense, and then assign a good time slot for airing the films once or several times. They are free to re-run the films as often as they want. The only expectation is that they give us feedback on the broadcasts, so that we can report to the copyright owners once a year. This arrangement works well, and bilateral relationships have developed between TVEAP’s distribution team and programme managers or acquisition staff at individual TV stations across Asia. Everything happens remotely — through an online ordering system and by email. It’s rarely that we at TVEAP get to meet and talk with our broadcast colleagues in person. I was delighted, therefore, to meet one of our long-standing broadcast colleagues in Tokyo earlier this month when we ran a regional workshop on changing climate and moving images. Pham Thuy Trang, a reporter with news and current affairs department of Vietnam Television (VTV), was one of the participants. She turned out to be an ardent fan of our films. She told the Tokyo workshop how the Climate Challenge series marked a turning point in Vietnam’s public discussion and understanding of climate change issues. 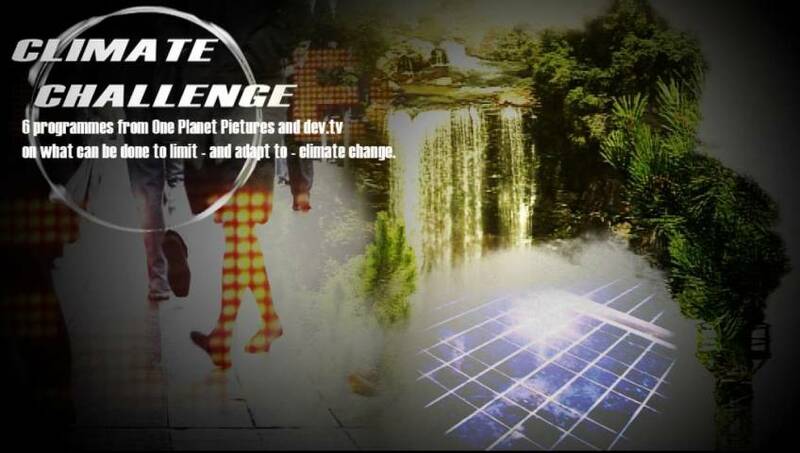 In mid 2007, VTV was one of many Asian broadcasters who ordered Climate Challenge. Having versioned it into Vietnamese, VTV broadcast the full series in December 2007 to coincide with the 13th UN climate change conference in Bali, Indonesia. “This was the first time the issue received indepth coverage on TV,” Trang said. This was particularly significant because a 2007 survey had revealed low levels of interest in climate issues by the media in Vietnam. “In fact, the World Bank has identified Vietnam, with its 3,000 km long coastline, as among the countries most vulnerable to climate change impact. Our media has been reporting some developments – such as increased coastal erosion – as purely local incidents without making the climate link,” she noted. The series, originally broadcast in the foreign documentaries slot, was noticed by the VTV senior management who then arranged for its repeat broadcast in the long-established environmental slot. The latter slot, well established for a decade, commands a bigger audience. Trang kept on thanking TVEAP for Climate Challenge and other films that bring international environment and development concerns to millions of Vietnamese television viewers. I said we share the credit with generous producers like One Planet Pictures and dev.tv, who let go of the rights to their creations for the global South. If only more producers of TV content on climate and other development issues think and act as they do. That was also the call we made at the end of our workshop: recognise climate change as a copyright free zone. Related blog post: Climate in crisis and planet in peril – but we’re squabbling over copyrights! Climate in Crisis and planet in peril – but we’re squabbling over copyrights! On my recent visit to Tokyo for a regional workshop on changing climate and moving images, I watched a number of excellent documentary films on the subject. One of them was Crude: The Incredible Journey of Oil, the excellent Australian film that I wrote about in March. 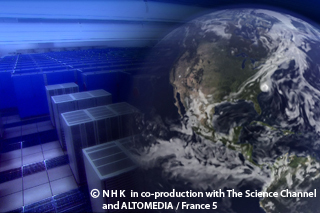 Another was Climate in Crisis, an outstanding global documentary in two parts (2 x 52 mins) co-produced in 2006 by Japan’s public broadcaster NHK together with The Science Channel and ALTOMEDIA/France 5. 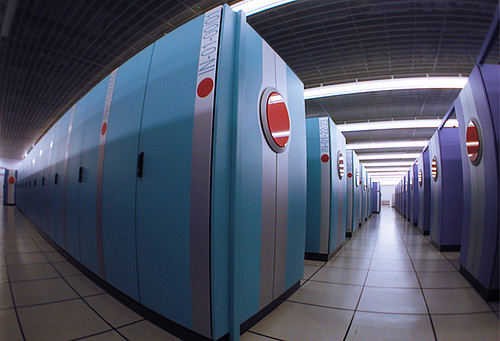 Directed by Fujikawa Masahiro, the film draws heavily on the Earth Simulator — one of the world’s most powerful supercomputers — which Japanese scientists used to project the climatic disasters in next 100 years. 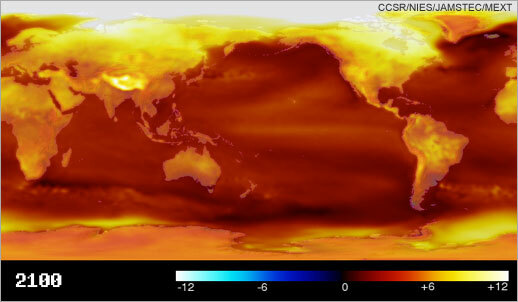 The system was developed in 1997 for running global climate models to evaluate the effects of global warming and problems in solid earth geophysics. 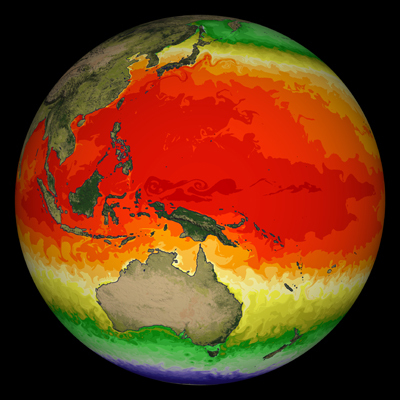 It has been able to run holistic simulations of global climate in both the atmosphere and the oceans — down to a resolution of 10 km. The results, captured in this documentary, are truly mind-boggling. Atmospheric temperatures may rise by as much as 4.2 degrees Celsius, more hurricanes may attack and deserts may spread from Africa to southern Europe, and half of the Amazon rainforest may be gone. Climate in Crisis shows a severe projection on environmental destruction based on rigorous scientific data and considers whether humankind can avoid this. This film, made in the same year as Al Gore’s Oscar-winning film An Inconvenient Truth, has won several awards including the Earth Vision Award at the 15th Earth Vision Tokyo Global Environmental Film Festival. I was curious why this excellent film – in my view, better made than Al Gore’s one – hasn’t been more widely seen, talked about and distributed. To be honest, I’d not even heard of this one until my Japan visit — and I try to keep myself informed on what’s new in my field of endeavour. The reasons soon became apparent: copyright restrictions! The co-producers are keeping the rights so tight that only the highest bidders will be allowed to acquire it on a license fee. This is a standard broadcast industry practice that didn’t surprise me. But I was taken aback by how jealously the rights are guarded. All other films that were part of our event, including high budget commercial productions like Crude, were screened to the public at the Parthenon in Tama New Town in Tokyo. Not so with Climate in Crisis, which we – the overseas participants to the workshop – had to watch at a theatre inside NHK’s Tokyo headquarters. No public screening was possible. As we later heard, NHK itself was willing to allow a public screening (after all, it draws a good part of its income from the Japanese public), but their international co-producing partners, especially the Science Channel, would simply not agree to it. Wow. Twenty centuries ago, emperor Nero fiddled while Rome burned. Today, some people are squabbling over copyrights while the whole planet is in peril. Our workshop participants came from solid backgrounds in broadcasting or independent film-making, and we are not naive activists asking hard-nosed broadcasters to let go of their precious rights which generates vital income. But we would have expected them to allow films such as Climate in Crisis to circulate a bit more freely in everybody’s interest. This reminded me of correspondence I had last year with the Canadian producers of another outstanding climate film titled The Great Warming. The initial discussions with its director were promising, but when the distribution people started talking about ‘revenue optimising’, our negotiations stalled. It also reminded me of similar experiences of other environment and natural history film makers, such as South Africa’s Neil Curry. He had a long struggle with the BBC to clear the non-broadcast use rights of his own film that he wanted to take back to the locations in Botswana where it was filmed. Many broadcast and production companies in the west don’t realise that TV broadcasters in developing Asia operate on a very different basis. Talking about broadcast ‘pre-sales’ or ‘commissions’ loses meaning when many stations are operating on tiny budgets — or in some cases, no budgets — for factual content. Many are struggling to survive in tough, emerging economies. TVE Asia Pacific operates a regional film distribution service that brings environment and development films within reach of such broadcasters. We operate without getting mired in license fees or royalties. Our 2-day workshop called for climate change to be recognised as a ‘copyright free zone’. This would enable audio-visual media content on the subject to move freely across borders and to be used widely for broadcast and narrowcast purposes. Can anyone manage their intellectual property rights on a dead planet?